Where can I store my luggage in Berlin? From luggage storage facilities to lockers, keep reading for a guide to luggage storage in Berlin. Stasher is a luggage storage service that connects travellers with hotels and local businesses that can safely and affordably store your bags for as little or as long as you’d like. Backed up by partnerships with companies like Accor Hotels, Premier Inn and Holiday Inn, we connect you with hosts in hundreds of cities across the US, Asia, Europe and Australia. How much does it cost to store your luggage in Berlin? It’s just £6/€6 per day, and £5/€5 for any additional day. Where are the StashPoints for my luggage in Berlin? 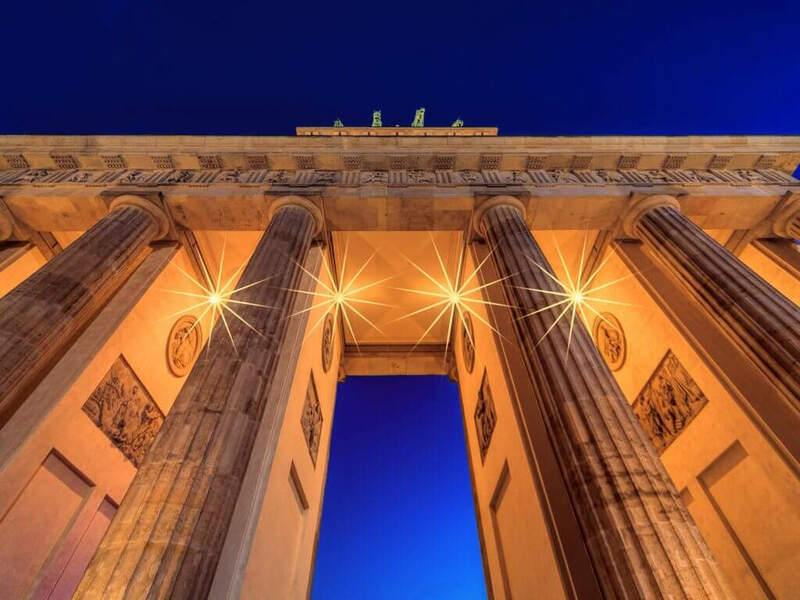 You can find our StashPoints located next to all the major tourist attractions in Berlin, such as Alexanderplatz, the Checkpoint Charlie and Brandenburg Gate, as well as the major transport hubs like the Hauptbahnhof. Anywhere you are around Berlin, you can be sure that you will find that a reliable host will be close-by to store your luggage while you go about your business! Finding a place to store your luggage is easy with Stasher! Book your space securely online to receive a unique booking confirmation code. Show this code to your host along with your ID, and you’re all set! You will receive a tag for each piece of luggage you store for easier retrieval. Where can I find luggage storage near Station Hauptbahnhof? For safety reasons, lockers are located in the car park outside the main building, in area C on the 1st, 2nd and 3rd floor. There is also a manned left luggage counter at Hauptbahnhof, but this option is more expensive. The self-service luggage lockers are open 24/7. Depending on the size, the lockers cost between 4 and 6€ a day. The maximum storage period is 72 hours. The Airport Express trains (RE7 an RB14) connect Berlin Central Station with Schönefeld Airport. They travel twice every hour between 4.30 a.m. and 11 p.m. . The journey takes around 30 minutes. Hanover, Cologne, Hamburg, Leipzig or Munich are easily reachable from Berlin Central Station. The station is used by InterCityExpress, Intercity, Interregioexpress, RegionalExpress, RegionalBahn and S-Bahn trains. The station also hosts several international trains, and the most distant cities reached are Novosibirsk (Russia) and Astana (Kazakhstan). Where can I find luggage storage near Central Bus Station ZOB? Depending on the size, the lockers cost between 2€ and 5€ a day. The Central Bus Station Berlin, ZOB, is located in Berlin's western district Charlottenburg. The station is easily reached by public transport: the S-Bahn station, Messe Nord/ICC is just a short walk east of the bus terminal, while the nearest U-Bahn station, Kaiserdamm, is located just north-east of the bus terminal. Low-cost coach company Flixbus uses the Central Bus Station as their departure hub. Where can I find luggage storage near Tegel Airport? There is a left luggage office at Tegel Airport, located in the service centre in Terminal A (ground floor). Bulky luggage costs € 9.90/day. The X9 Bus departs every 10 to 20 minutes at Tegel Airport towards Zoo Station, the journey takes about 20 minutes. Zoo Station is linked to the S-Bahn and U-Bahn network. Where can I find luggage storage near Schönefeld Airport? Luggage storage services are provided by Beyer Sprach- & Airport- Service GmbH and are located in Terminal D Arrivals. 5€ one-time handling fee per deposit plus deposit charge according to luggage size. Several bus services connect Schönefeld Airport to Berlin and its surrounding areas. The buses stop at Flughafen Schönefeld railway station and/or in front of Terminal A. Head here for more information. Lockers can be found at all main Berlin train stations as well as some central places. Lockers at all train stations charge by size, so it’s only convenient as long as you have quite small bags. Where can I find luggage lockers in Berlin? There are left luggage lockers at Hauptbahnhof (Central Station), Bahnhof Zoo, Friedrichstraße, Alexanderplatz, Potsdamer Platz, Ostbahnhof, Hauptbahnhof, Gesundbrunnen, Zoologischer Garten, Südkreuz and Spandau. Also, Zentraler Omnibus Bahnhof (ZOB) also provides left-luggage facilities. However, these lockers only accept coins. Also, bear in mind that locker space is usually limited in Alexanderplatz and Hauptbahnhof. Now that you've safely stored you're luggage, it's time to explore everything Berlin has to offer. Luckily, here at Stasher we're all avid travellers, so we've put together a guide of Berlin. Never feel like you're missing out again! Be it summer or winter, Berlin will cater to your every need. The endless museums, galleries and indoor attractions will offer shelter during the cold months, while during the warmer months parks, outdoor cafes, improvised sand beaches and countless events and festivals will make you forget all about that Canary Island trip you didn’t book. The city’s main landmarks and sights - from the Museum Island, the Reichstag and Alexanderplatz to Checkpoint Charlie, Unter den Linden and the Jewish Museum - are all gathered in central Mitte. Start at Alexanderplatz to admire the surrounding communist-era architecture as well as its landmark GDR TV tower. If heights don’t scare you, you can ascend the tv tower and be rewarded with a peerless 360-degree panoramic view of the city. Back with your feet on the ground, head towards one of the city’s oldest churches, the Marienkirche, and then keep going until you reach the Humboldt Box from where you can admire the Berliner Dom and Museum Island. Finish your walk with a stroll down Berlin’s most famous boulevard, Unter den Linden. If you’re hard pressed for time, or simply want to enjoy the city from a different perspective, why not rent a bike and go for a quick tour of all the main sights? Berlin is extremely bike friendly and you can easily hire a bike from the Call a Bike bicycle hire system. For the culture vultures, Berlin has more museums and historical landmarks that you can shake your camera at. Spend a day on Museum Island, a UNESCO-listed World Heritage Site, and home to five of Berlin’s most important museums, such as the Neues Museum and the spectacular Pergamnmuseum. Leave behind old statues and head to the Gemäldegalerie for a collection of early European paintings, among which there are works from Rembrandt, while the Neue Nationalgalerie mainly house Expressionist works as well as Cubist works from Picasso and Gris. Finally, immerse yourself in Berlin’s Jewish history through the Jüdisches Museum’s own architecture, it is shaped after an exploding Star of David, or for an emotional walk through history, take a look at the Holocaust Memorial. Head south to Potsdamer Platz, a new city quarter, and explore the remnant of the Berlin Wall, mostly demolished between June and November 1990. A restored stretch remains along the southern border of Wedding and Mitte where you can still see the famous “Fraternal Kiss” graffiti. Berlin’s fascinating architecture, ranging from historical to high modernism and even postmodern, is often overlooked as tourists are too busy finding their way around the city. Take your time to admire the breathtaking buildings surrounding you and don’t forget to stop at the Reichstag. Home of the German Parliament, not only it has an undeniable cultural importance, but the dome is worth a visit itself. An entirely glass structure, it allows a panoramic view of the city. Entrance to the roof is free but remember to register in advance (you can do so here). Off the beaten track is Prenzlauer Berg, one of the city’s least touristy districts, brimming with wonderful cafes, shops and to-die-for Saturday farmers’ market selling everything from handmade clothes to delicious street food. If you want a cheap and funny souvenir to remember your trip by, take a Photoautomaten selfie at one of the countless black and white photo booth scattered all across the city. In need of a dose of retail therapy? Mauerpark is a mecca for all energetic market-lovers as it hosts a massive flea market on Sundays. North Mitte has recently risen as a key shopping district, sporting everything from boutiques to independent retailers, while Friedrichstraße is the street for big name designer stores. The Kurfürstendamm in City West is lined with fashion stores like Chanel and Hermes and high-street giants like H&M and Zara. For those looking for a department store to get lost in, KaDeWe, Europe’s largest department store, is bound to be your personal shopping heaven. Berlin has a slew of independent bars, restaurants and food markets. Safe to say you’ll be spoilt for choices. When you’ve worked up an appetite try one of Berlin’s signature dishes. The currywurst, the Berliner doughnut, the Spätzle, the Königsberger Klopse, meatballs cooked in a creamy mixture of capers and lemons, the doner Kebab, and the Eisbein are all synonyms with the city. They can all easily be bought from restaurants and street food vendors around town. No trip to Berlin is complete until you’ve tried the currywurst. A combination of pork sausage, covered in a mix of ketchup and curry powder, served with a bread roll or fries. It tastes better than it sounds, we promise. There are two great options to choose from, depending on which side of the city you are. Konnopke's Imbiss, located in East Berlin, is an institution, serving currywurst since 1930, while Curry 36 in West Berlin has high quality meat and multiple choices. For a doner kebab, some of the best places can obviously be found in the Turkish area of Berlin, of which Imren Grill is in the lead. Other recommended spots are Lebensmittel Mitte for the Swabian speciality Käsespätzle and the food market Markthalle IX. When it comes to drinking, there are Berlin bars and pubs to suit all tastes, whether you want to settle into a comfy sofa with a craft beer, or savour alcoholic craftsmanship in a concept cocktail bar. Each neighbourhood has its distinctive bar culture, so head West for more old-fashioned café styled pubs, explore Schöneberg and its nightlife, or wander around Nollendorfplatz where you’ll find excellent cocktail bars and Berlin’s gay scene. If you are only in it for a drink or two, make your way towards Tiergarten park or Prater for the city’s best beer gardens. As for partying, Berlin has the perfect recipe for a night out, with parties going on for days rather than hours. Head to Panorama Bar, the birthplace of European techno, or to Salon Zur Wilden Renate for a more underground house party vibe complete with an underground labyrinth.